If your home is ready for an exterior facelift, painting your vinyl siding may seem like a quick solution. Most major vinyl siding manufacturers do not honor warranties if the vinyl siding is painted, even for brand new vinyl siding. Be sure to check the specific warranty for the siding currently on your home to determine if paint negates the warranty. If the siding warranty is expired or no longer valid, or you aren’t concerned with voiding the warranty, paint might be a low-cost option. One final word of caution: if your home suffers damage that requires a claim, your insurance agency may not honor the claim if the vinyl is painted. According to Home Advisor, the typical cost to paint a home’s exterior is $1687 - $3,907. You may be able to save money by doing the project yourself, but plan to dedicate many hours to the project. Don’t underestimate how large the exterior surface of the home is and how much paint you will need. Also, don't forget the cost of additional tools like sprayers or scaffolding. New vinyl siding costs between $5,000 - $14,050, according to Home Advisor. Although new siding comes with a higher price tag, it requires no regular painting or maintenance and is guaranteed by the manufacturer for 30 years or more. You can also expect to recoup 76.4% of the total cost of new siding according to Remodeling Magazine, reducing the true cost of the project over time! On average, painted homes will need a new coat of paint every five years. You may be required to repaint if the paint didn’t adhere well to the siding, or if your home gets exposed to extreme elements of sunlight and moisture. 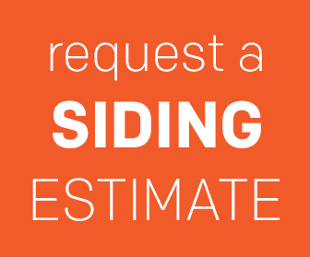 If you plan to stay in your home, the cost of painting can quickly add up to the price of a new siding job. If you do not properly paint vinyl siding, it can take your home’s appearance from bad to worse, and the money you spent on the paint job will have been wasted. Your siding serves as the first line of defense between your home and the outdoor elements. Making changes to your home that could degrade that defense could be detrimental to your home. When new siding is installed, the old siding is typically removed. Professional contractors then inspect the home for any damage from moisture, pests, or walls settling over time. Any problems are corrected before the contractor installs new siding. 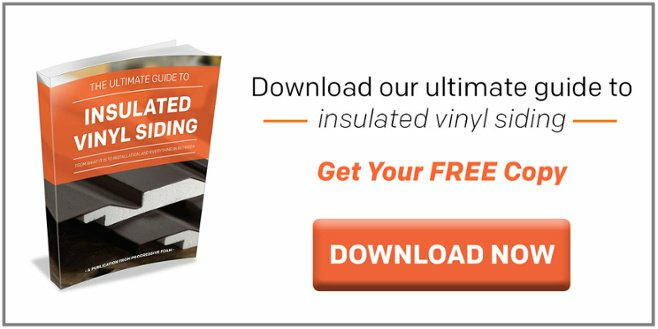 In addition, insulated vinyl siding products come with contoured insulation attached to the back, providing superior impact resistance after installation. When painting, any underlying problems are not made visible before going over the existing siding. In addition, damage to the siding from wind, hail, or rocks thrown from the lawn mower are not corrected by painting siding. Damage spots can serve as points of infiltration for moisture or pests, causing problems like mold and nesting. If you decide to paint vinyl siding, be sure to select an appropriate color based on your siding brand and current color. Too dark of a color can cause the lighter siding underneath to warp. It is generally recommended to use a siding color that is similar or lighter than the color of your current siding. Some major paint companies, such as Benjamin Moore, offer a curated palette of 59 colors that they consider to be safe for vinyl siding. Installing new vinyl siding provides you thousands of color options and profiles to choose from. If you’re looking to change the appearance of your home, you might not be thinking about insulation. Adding insulation under new siding can provide real energy savings by keeping heat where it belongs. Products like insulated vinyl siding have insulation permanently attached to the back, improving your home’s appearance, energy efficiency, and durability. Painting old siding doesn’t give you an opportunity to add a layer of insulation underneath, so you will keep paying the utility companies month after month. It is possible to paint vinyl siding and has been done by many. But once you paint a vinyl sided home, it can’t be undone, so be sure to weigh the pros and cons before opening the paint can.